usb supports 127 devices, you could buy 104 of them and make a full size keyboard. 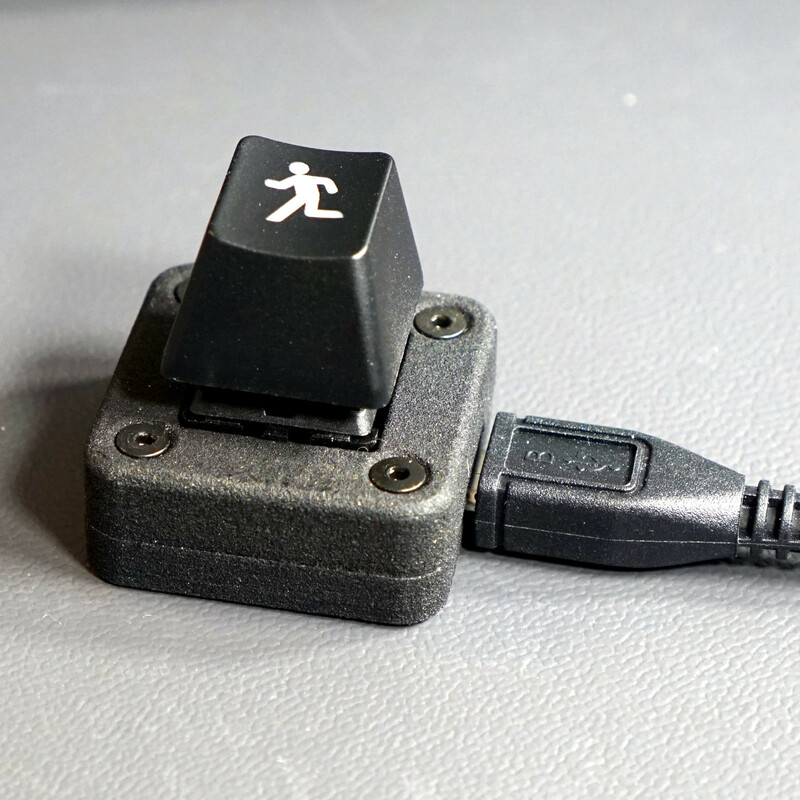 I cant find it in the github repo, where did the key caps with the padlock and the running person come from? A little ESD protection would not hurt, otherwise great idea! Why would it need that though? Clearly what you have to do is build 105 of these, one for each key and wire them all together as the worlds least practical keyboard into a single USB-port through 10x 12-port USB hubs. Brilliant. I love beautiful almost useless devices! He’s chosen completely the wrong keycap. It should’ve been “any”. I am using a new (but old) keyboard from last century, from surplus stock that some ebayer discovered I guess, anyway it is not USB and that is the way I like it as it is more secure. May not be more secure since it can still be snooped on via RF emissions. However the PS/2 adapter and isolated keyboard/mouse ports do work in situations where the bios or operating system has caused the usb bus to fail, allowing you to recover, debug, or reboot in situations where the alternative is hitting the power or reset switches instead. I made one based on a digispark, using a hand made perfboard “shield” for the key. The footprint is no bigger that that of the key with the exception of the USB fingers. It needs a USB extension cable to connect it to a PC. It is programmable over USB. I use it as my CTRL-ALT-DEL key so it is three in one actually. Unfortunately it has no case, this case is really beautiful! !